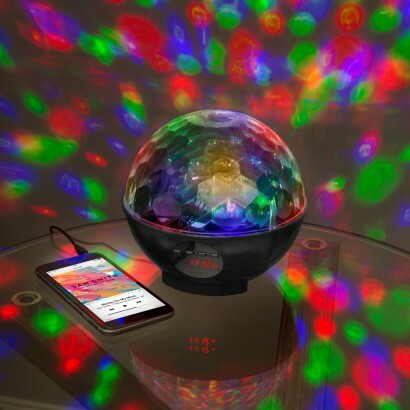 Connect your music devices to this funky party speaker and see your favourite tunes come to life with colourful flashing lights! 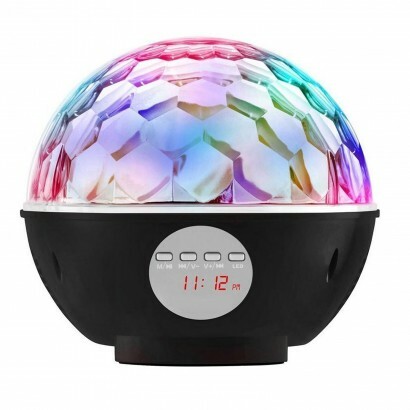 Wireless with bluetooth connectivity, this disco ball speaker is compatible with iPad, iPhone, Android, Windows phone, tablets and even your PC; not only will this party speaker play your favourite tracks but it has a built in FM radio too! 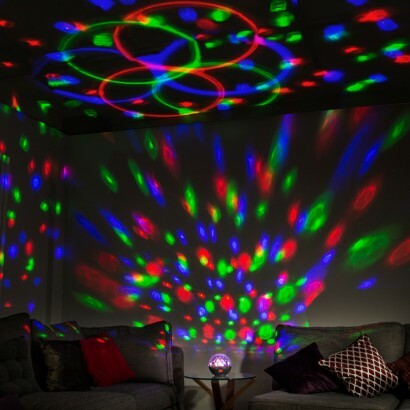 Connect your music and your speaker will come to life projecting colourful patterns of light in multiple modes around your room for instant disco lighting and an awesome party atmosphere! Our Grandson will love it. Personally I think the controls could be a bit clearer.